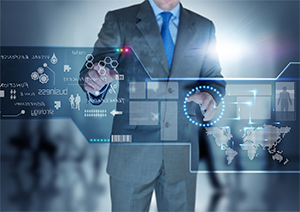 We develop both software by client specification and also standardized software components for the infrastructure software. The infrastructure software handles basic functions. Usually the infrastructure software includes the operating system and software components for communication and underlying I/O and memory services. 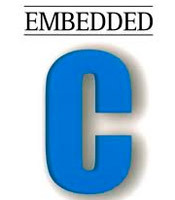 We develop embedded solution using C embedded language, Perl and Python scripts and various tools used in this domain. 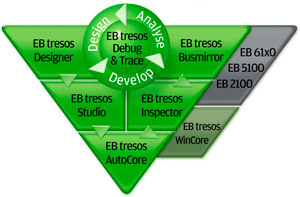 EB tresos is Elektrobit family of seamlessly collaborating automotive ECU software tools centered around an basic software core. AUTOSAR stands for AUTomotive Open System Architecture. This world-wide initiative was brought to life by automobile manufacturers, suppliers and service providers to establish a broad range of standard software architecture for the automobiles of the future. FlexRay is a serial, deterministic and fault tolerant field bus system for automotive applications. The FlexRay consortium was initiated by the companies BMW, Daimler AG, Motorola and Philips (today: NXP Semiconductors). Until 2005 the consortium gained new core partners, namely Bosch, General Motors, Volkswagen and Freescale (who replaced Motorola). CAN (Controller Area Network) is a message oriented multi-master protocol for quick serial data exchange between electronic control units in automotive engineering and factory automation. LIN (Local Interconnect Network) is a cost-effective and deterministic communication system for connecting ECUs with smart sensors and actuators. In the vehicle networking LIN is primarily used in the area of comfort functions.